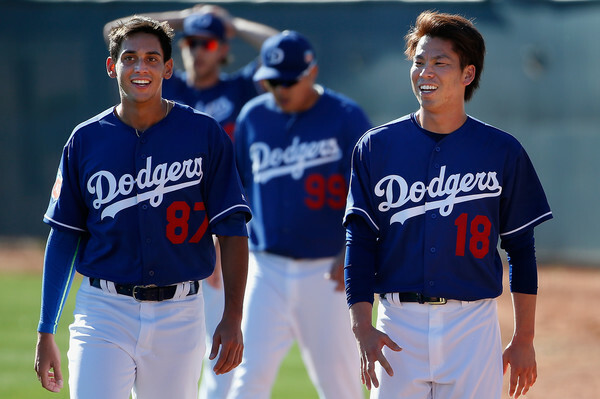 Dodgers’ Kenta Maeda (tonight) and Jose De Leon (tomorrow) switch assignments. Update. SAN DIEGO — Kenta Maeda will start tonight and Jose De Leon will start tomorrow against the Padres in a swap of starting assignments. 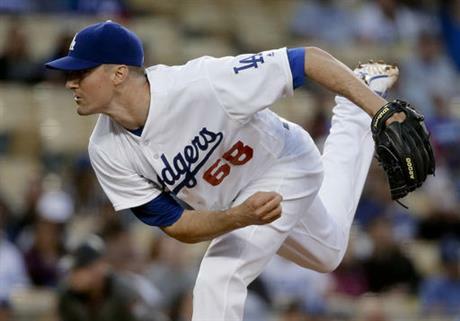 Maeda, who is 16-9 with a 3.20 earned-run average this season, last pitched six days ago. He allowed two earned runs in five innings that day against the Giants at Dodger Stadium, striking out six batters in an eventual 9-3 win. Maeda has been excellent in 12 starts on five days’ rest this season — 6-3 with a 2.79 ERA, compared to 10-6 with a 3.46 ERA in his other 18 starts. 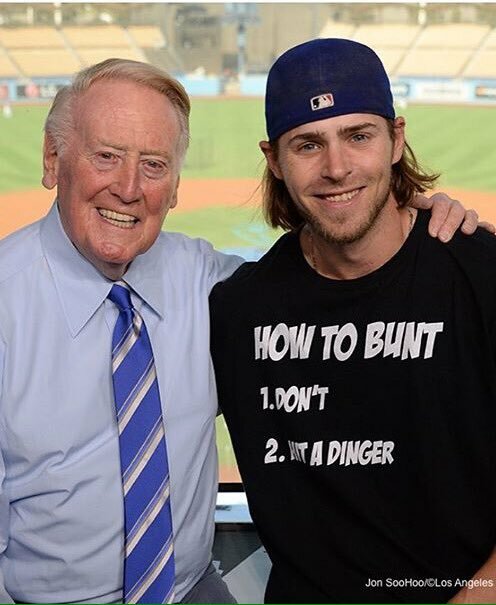 That could be the thinking driving the decision to switch the two pitchers. De Leon, 2-0 with a 5.52 ERA in three major league starts, last pitched Sept. 18, when he was tagged for six runs in 3 ⅔ innings in Arizona. The switch also affords Maeda an opportunity to start in the regular season finale Sunday in San Francisco should the Dodgers choose. Had he started Wednesday, that would not have been an option for a pitcher who’s never started on fewer than four days’ rest this season (if not his entire career). What’s more, Maeda is due a $1.5 million performance bonus for starting 32 games this season. Tonight marks his 31st start this year. He’s already unlocked $8.65 million in performance bonuses this season, and will get another $250,000 if he pitches at least one inning tonight, giving him 170 for the season. Dodgers’ New York rotation: Jose De Leon, Julio Urias, Clayton Kershaw. 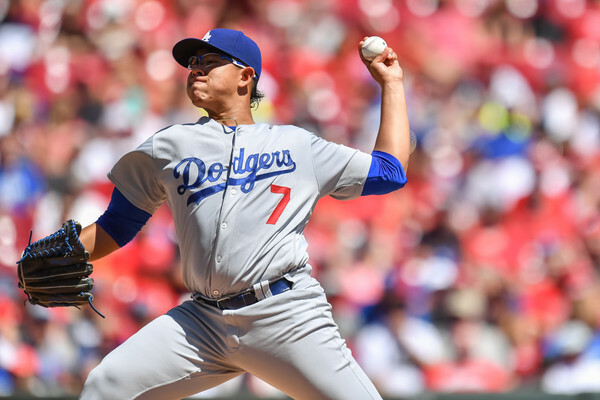 The Dodgers plan to deploy a rotation of Jose De Leon, Julio Urias and Clayton Kershaw starting Monday for their three-game series against the New York Yankees, manager Dave Roberts told reporters today. For Kershaw, who starts tonight in Miami, Wednesday’s start will be his second since coming off the 60-day disabled list. The left-hander hasn’t pitched since June because of a herniated disc in his lower back. The three-time Cy Young Award winner was 11-2 with a 1.79 ERA at the time of the injury. De Leon is starting in place of veteran left-hander Scott Kazmir, who left his Triple-A rehab start Wednesday with a recurrence of pain in his left neck/ribcage area. In his only major league start, De Leon threw six innings Sunday against the San Diego Padres and allowed two runs. Urias, 20, hasn’t started since last Friday against the Padres. 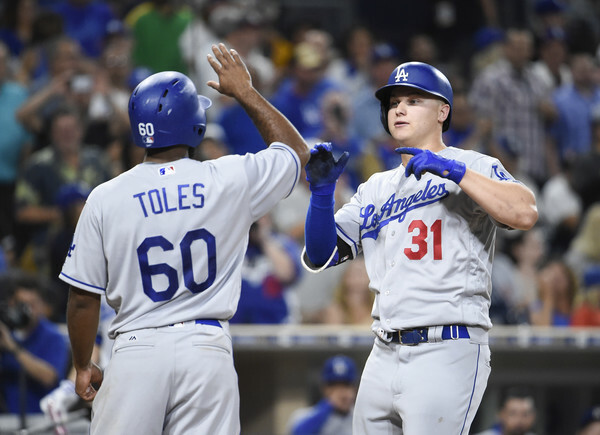 Urias is on a predetermined innings limit in his first major league season and hadn’t been used since the Dodgers shifted him to the bullpen this week. The rookie left-hander is 5-2 with a 3.69 ERA this season.